Every now and then, you have no signal and absolutely need to send texts. Like if you’re in the woods. Or when a disaster knocks cell towers out. Or if you’re the star of a horror film. Or you have a contract with any one of Canada’s main telecom providers. Anyway, the GoTenna ($150 for two) will get texts through, no matter what. How? 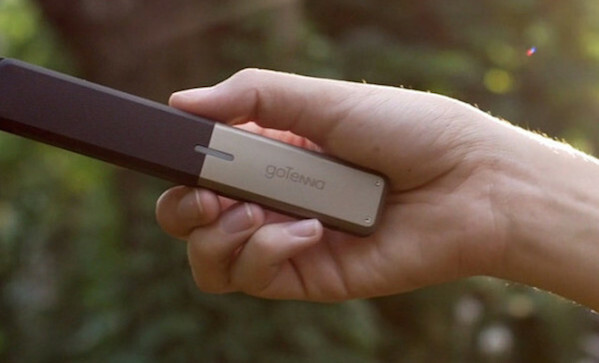 You pair it with your phone via Bluetooth, and when you send a text the GoTenna sends the message over long-wave radio waves to another GoTenna. Range is dependant on your elevation and what kind of stuff is in the way, but you can expect a few miles.